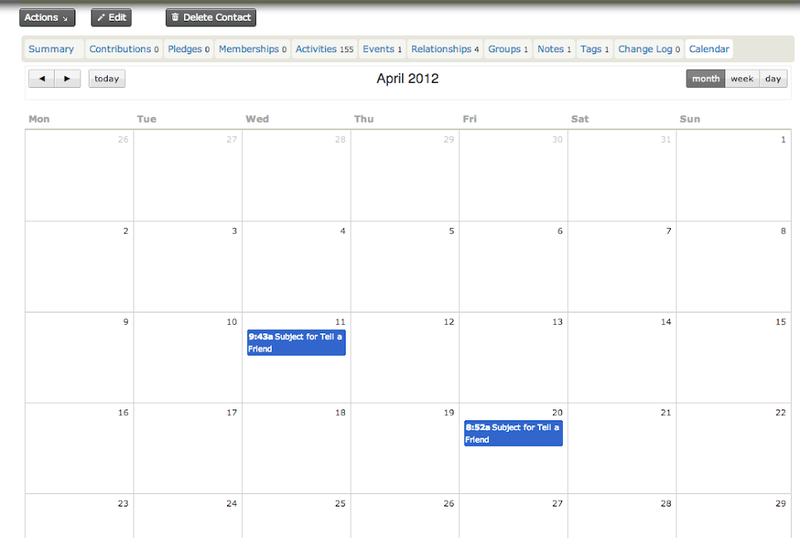 Contact Calendar is a CiviCRM extension that displays activities where the contact is an assignee or a target contact. The calendar is useful when the activities are in the future and people can plan thier schedule. CiviCRM Gift Aid Extension 3.x is developed by Compucorp Ltd. This module relies on the settings API in 4.3. If you wish to use it against 4.2 you should use the Fuzion github civicrm deployment. A very simple extension that adds percentages to the mailing report for opens and clicks. Simply enable to use. Optimized Autocomplete is a CiviCRM extension. If you have a large database (over 500,000 contacts), you may have noticed that the autocomplete contact search box in top left of CiviCRM will never finish. This is because by default the MySQL queries that are being called to do the search are inefficient on large databases. Send email notification to event speakers when a new individual registers.